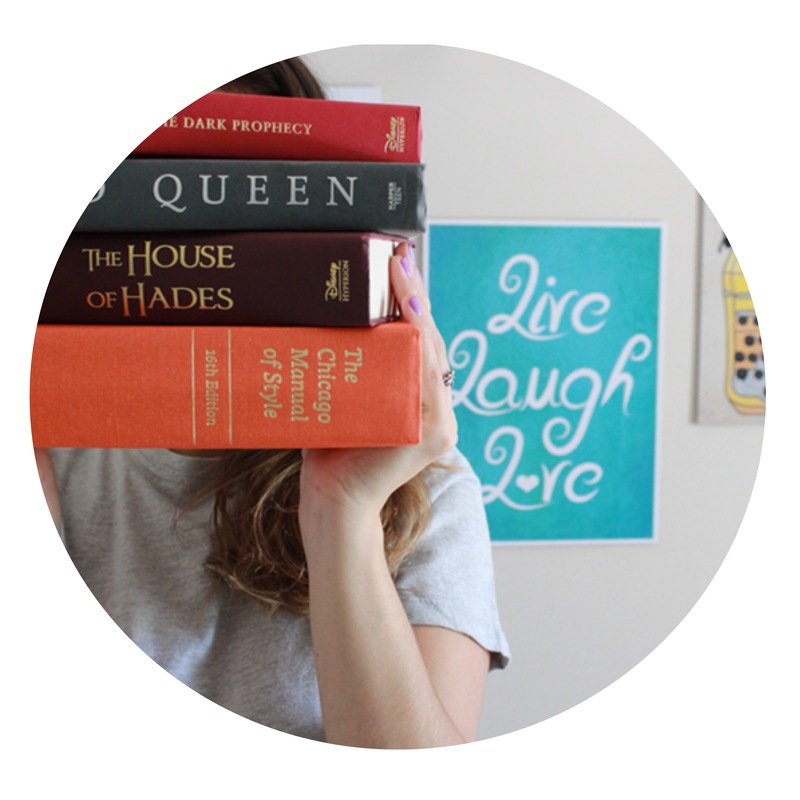 The World of Wattpad – a social media for writers. I wanted to talk about the reason I have been MIA lately. Besides school, work, and daily life, I’ve joined the social website called Wattpad. Have you ever heard of it? Wattpad is a social platform that allows you to publish your stories daily (full books, short stories, poetry). You can update every day, once a week, or whenever you feel like it, plus you get to interact with other writers and readers through club chats. Also, your story can be voted and commented on, some people even reach a million views and get deals to get published. Since I was feeling a bit distant from the writing world, I decided to join in and publish my first completed book, and start writing a new one. It’s been a rocky road, since Wattpad has a lot, and I mean A LOT, of writers and books. Sometimes you can get lost with the comparison. Some books have millions of views while you still struggle to reach 1K. However, it’s a great way to put your work out there, get quick feedback on your story, and just force yourself to actually write. Some people post their first draft chapter by chapter, while others post the whole thing at once. You can delete your story and start fresh or even edit as you go. It has many possibilities, besides you can create a fanbase for you as a writer. It’s a great platform for beginners and even professional writers. Why don’t you give it a try? Perhaps you will find the motivation you needed to finish that story you’ve kept in the drawer. Have you tried Wattpad? What did you think of the platform? Do you know the difference between having a dream and a goal? A dream is something you wish to have or accomplish, while a goal is an objective, something you have a designed plan to accomplish. See how they work differently? One might never come true, while the other you will work step by step, failure after failure, to achieve. Sometimes we get so caught up in our dreams that we don’t realize they can come true if we work towards it. No, they will not happen when you are fast asleep, or when you find the genie’s bottle. Which means you have to get up, shake the negativity and go fight. That’s what I’m doing here if only to force me to keep writing and not give up on my goal (not a dream) of becoming a published author. The only way of doing that is by what? Actually doing the work. My negativity has stopped me so far, but I say enough is enough. I can accomplish my goal because I study, practice and work for it. Do you want to be a writer as well? Then you have to write, even if you feel like you are not good enough. Because guess what? You can improve. Writing is not just pure talent, it’s a craft, and like any craft, you can learn, master and use it in your favor. Maybe a writing course will help you (I’ve tried many, and yes they are very helpful), or a writing technique book, or perhaps even a writing club (if you are shy, you can try some online platforms like Wattpad). What matters is if you keep writing and are open to criticism. When I think back on my first book, I see how much I have already improved. But I also know I have a lot to grow, and that’s why I won’t give up on learning. Because in the end what matters is the journey to get there. So, will you wake up and work towards your goal, or just keep dreaming? Are you a writer? Are you working towards your goal? Share with me your thoughts and tips. This is the second review I’m writing, and just like the previous, I won’t be rating the book from 1 to 5 stars. I don’t believe in rating because I think it’s super subjective. What might be a five for me, might be a three for you and you might have enjoyed it the same way, though your critics might be towards something else. Therefore, I will only write how the book made me feel and the things I liked about it, instead of just writing a synopsis of it. I’ve been meaning to read this book for a while since I’ve seen so many reviews and pictures of it (I love bookstagrams). It was a fast read for me; I wouldn’t put the book down, and got really hooked in the story. We follow a young trained assassin, Celaena Sardothien, through a life-death contest to become the King of Adarlan’s Champion, and with that winning her freedom (she’s been on a slave camp for over a year). I expected a lot more action from this book, since the real juice only started to appear on the second half of the story. I think the writer lost way too much time with love triangles that are poorly developed (I’m a little tired of love triangles) and frivolous conversations, instead of showing more of the assassins ability and strength (sometimes she came out a little too whiny making me wonder how did she became the best assassin of the Kingdom). For example, the contest is designed with many tests, but we only read a few of them, others are just skimmed through. With that being said, I liked the character development, since we learn she is not just a cold-hearted assassin, but more of a girl that was thrown into this world and had to do anything to survive. We see her starting to care for other people than herself, which shows that her soul is way more human than what people thought of her. The end leaves you wanting to understand more since some important information lightly appears towards the final chapters. Who is she? Who is her family? How powerful is she? We start to learn that there is a big secret around her, and the author is pretty clever at giving bits and pieces of information throughout the story that the reader must connect. Instead of throwing everything at once, she kind of turns us into little detectives, trying to figure out what is actually going on, before the heroine does. I definitely recommend reading it, it is a well-developed story, that catches your attention from beginning to end and definitely makes you want more. The author did a great job at creating this new universe, with different customs, religion, and history. I loved the writing style and her POV choice. I’ve grown very accustomed to first person POV, so it was a nice break from it. The way she writes is smooth, simple, yet it fits the genre, setting, and atmosphere of the book perfectly. I’m already on my way to get the second book of the series since I have to kill my curiosity. Have you read Throne of Glass? What were your thoughts on it? What do you see in the picture? Books, right? A book means someone (the author) is trying to give you a message. Trying to transport you to a different place, time, or simply to make you see your own world in a different point of view. The whole purpose of a book is simply to give you a message, to make you think critically, or to make you stop thinking about your daily life, and just drown within its pages. The same for a movie, play, music, painting, or any form of art that triggers something inside you. But I was astonished to discover over the weekend, while I was taking a self-publishing course, that here in Brazil some books are not considered Literature because they are more commercial or because their writing style isn’t as refined as others. I felt like these types of books were underestimated, as if they weren’t as good or valued as the others. I always thought we had one Young-Adult genre, where all the sub-genres derived from, however, we have a Literary YA, and a commercial YA. (The names are different in Portuguese but won’t change the meaning of what I’m saying.) So where does this in-between commercial YA lies? Why Brazilians are not publishing Young-Adult novels that are not so refined (but still sends you a message clearly), and are more commercial? Most of the books we consume here are Young-Adult novels that come from English speaking countries, however, we ourselves are not writing them. Doesn’t a book still have the same value even if it’s simply entertaining, and not didactic or refined, or stylistic more polished? I believe that books, no matter what genre, should all have the same value, because they are all trying to teach you something, entertain you, or make you feel something. The more rules we put on how books should look like, the fewer people will read it, because they will stay within one category. A book is supposed to make you feel fun, silly, courageous, strong, vulnerable, and intelligent. Just like we have different moods and tastes, so should books. Yes, some people think that YA books are silly or for teenagers, but they still make me feel good. Isn’t that the whole point of reading something? Having a good time? If we want to stop complaining that the new generation doesn’t read that many books, why don’t we stop discriminating books in the first place? If it makes you feel happy, whole, and overall satisfied that is all that matters. I was going through my journal and found an old poem I wrote two years ago. It made me realize how some things might seem that will destroy you as if you wouldn’t be able to pass through it. But then, time passes and you are okay, and whole again. We need to remember that we don’t need to put our faith or happiness on people. They should be part of it and grow from it, but they shouldn’t be the source of it. We need to learn how to be complete on our own, so people will come and share their “complete” with you, and more and more will be added to who you are. I’m hurting inside, how can it be? But if I do, would you miss me? When I would break if you ever left me. I didn’t break. I’m still here, and so are all of you. Okay, so have you ever had a project that you felt like it was your baby? That was my book to me. I worked on it on the course of two years, writing it up till four AM, with my headphones on and the whole world off. The funny thing is, the writing was the easiest part. After you write a book, you have to go back and edit it, fixing all grammar, spelling or story mistakes you can find. I probably read my book about ten times during the editing period, and after each person who read it gave me feedbacks, I would go back and fix it some more. My final draft doesn’t look anything like the first. I’ve changed so many things until I thought it was the best way I could tell that story. I was twenty-one years old when I started, and now at twenty-six I finally had the guts to self-publish it. You know what’s scarier than putting your work out there? Is having someone review it. Let me tell you, I was terrified of receiving feedback because as I said, this project was so close to my heart that I just wanted people to love it as much as I do. However, we have to let go of that fear and take a risk, because people should know about your work. I’ve received my first review this week, and for me, it was really helpful. I had some critiques, but they were well structured and clear, which will help me write my next book. When you know your weaknesses, you know where you need to pay more attention to. Even more so, I could see someone else–from outside my own social circle–read, enjoy, connect, and identify with my characters, and that for me is the most gratifying part of this job. All I ever wanted was to tell a story people wanted to hear (or read in this case). For a girl who speaks English as a second language, to be able to write an entire book in English, and have it published, is something to be proud of. So, if you have a project you are passionate about, but you are not sure people will like it, you should take a risk, like I did, and show it to the world. Like I once heard on a TV show a long time ago, if my art can touch at least one person then I am happy enough.